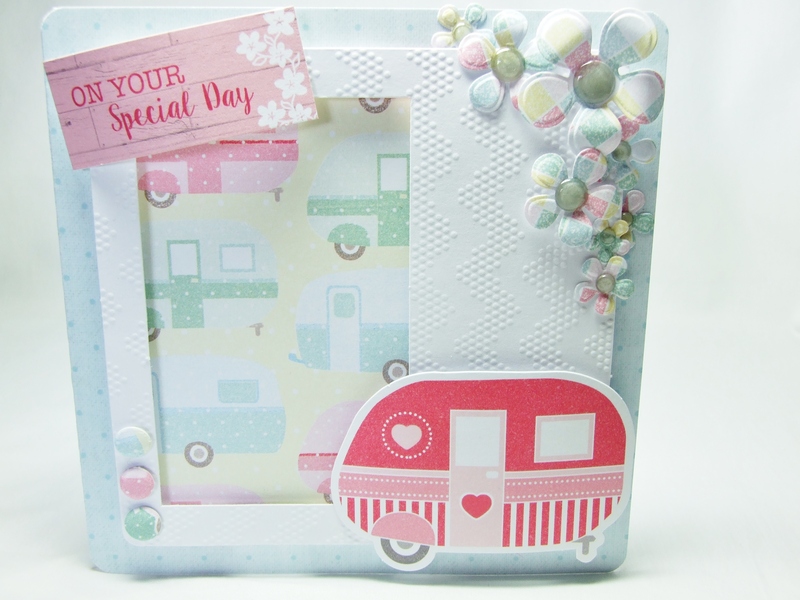 I used: Spotty 6×6 card, Chevron Polaroid Frame and items from the Seaside Summer Collection all from Craftwork Cards. 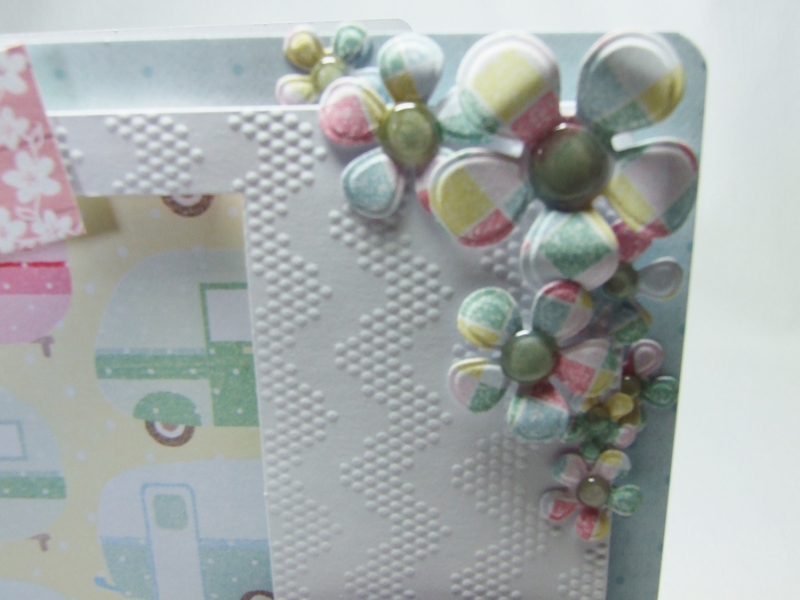 Papermania Dew Drops, WRMK Corner Chomper and Sue Wilson’s Finishing Touches Camellia dies. This is just adorable! 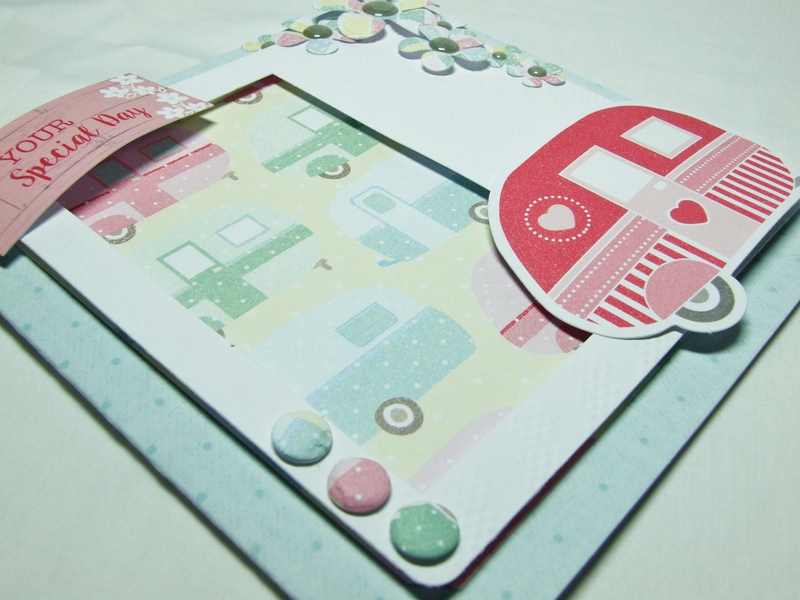 I love the soft colors! I really hope to someday be able to have an Airstream camper and travel with my husband and eventually grandkids! Adorable! Love the flowers and soft color combo! Oh this is sooooo CUTE!!! LOVE the papers and those flowers!! Beautiful! !